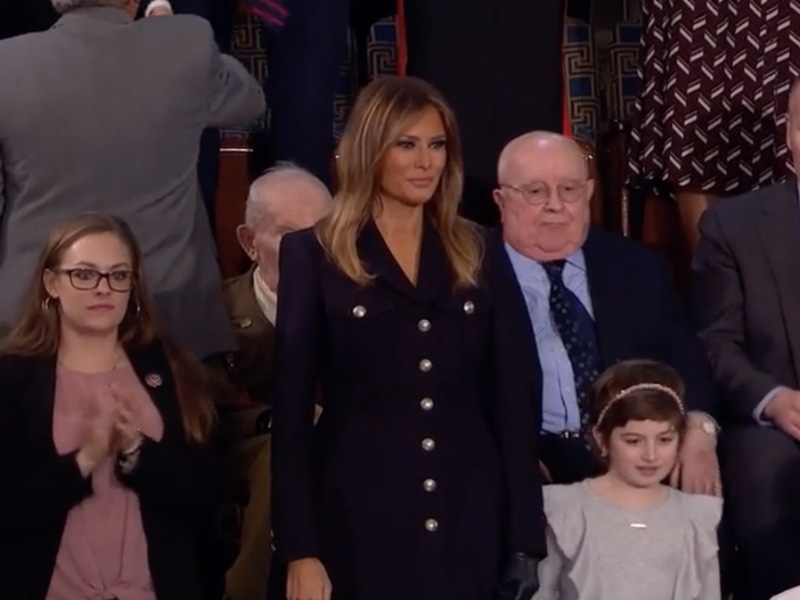 In first lady fashion, Melania Trump appeared at the 2019 State of the Union address in style. Trump wore a dark navy Burberry coat (retailing online at $2400), which she paired with Manolo Blahnik heels and a single Bottega Veneta black leather glove. The military-style ensemble was in sharp contrast to the female lawmakers who chose to wear white in support of the suffragette movement. Last year, first lady Melania Trump wore a white Dior suit and crisp white Dolce & Gabbana shirt paired with Christian Louboutin heels.